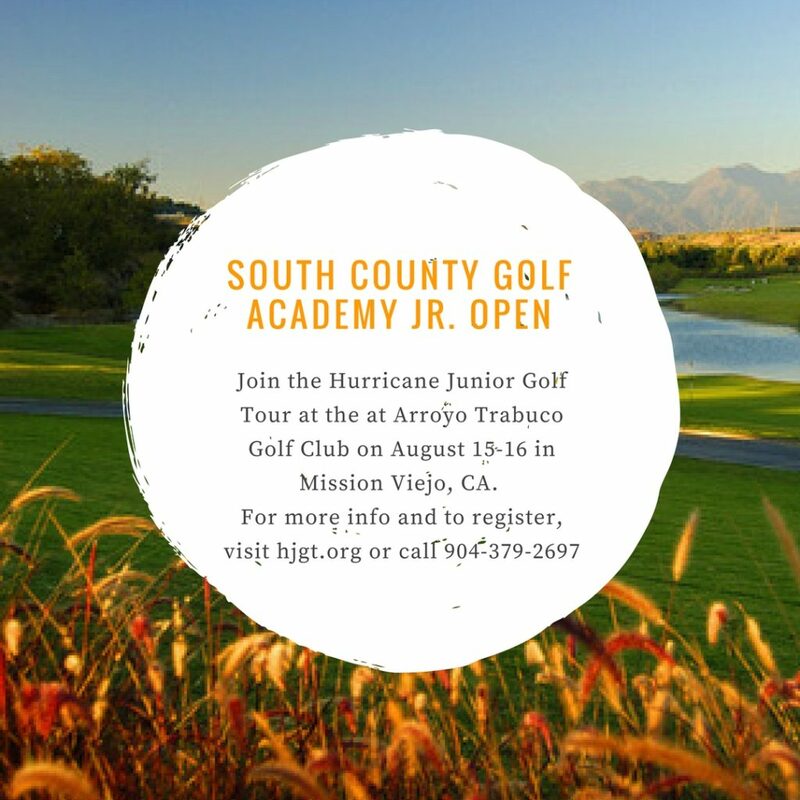 The South County Club Academy and Arroyo Trabuco are excited to host the Hurricane Junior Golf Tour, the nation’s largest junior golf tour, in August. Click the button below to sign up your junior now for this exclusive event on Aug. 15-16. The tour is celebrating its 10th anniversary this year. It was founded in 2007 “with the intention of providing junior golfers between the ages of 8-18 an opportunity to play exceptional courses in a competitive environment. The tour’s vision is to provide superb hospitality and make every event a memorable one,” according to www.hjgt.org. The tour is open to both male and female players who compete in individual and team competitions. Juniors compete in six divisions. They are: Boys 16-18, Boys 14-15, Boys 11-13, Boys under 10, Girls 14-18, and Girls Under 13. 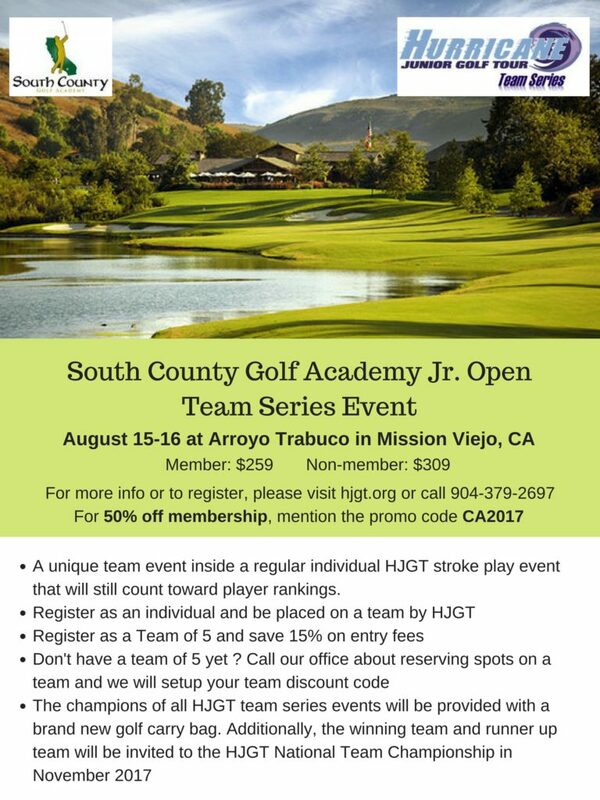 The event at Arroyo will feature stroke play and team competitions. See the flyer for tournament details. The entry fee is $259 for members and $309 for non-members. This is the first time the tour has come to Arroyo Trabuco and South County Golf Academy Director of Instruction Brian Schippel said it’s a unique opportunity for local juniors. “We are honored to be partnered with this tour as it makes its way to the West Coast,” he said. “We are impressed with their ability to run professional, and college-type events, and are excited to bring that to our students. Posted in Events, Golf, Special Events.